This is a PDF Sewing Pattern tutorial that will be available for immediate download once purchased. 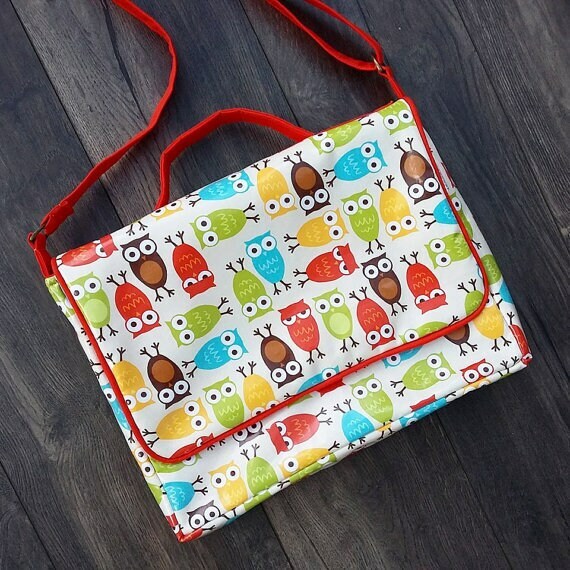 You are not purchasing the actual bag, although I do take commissions! 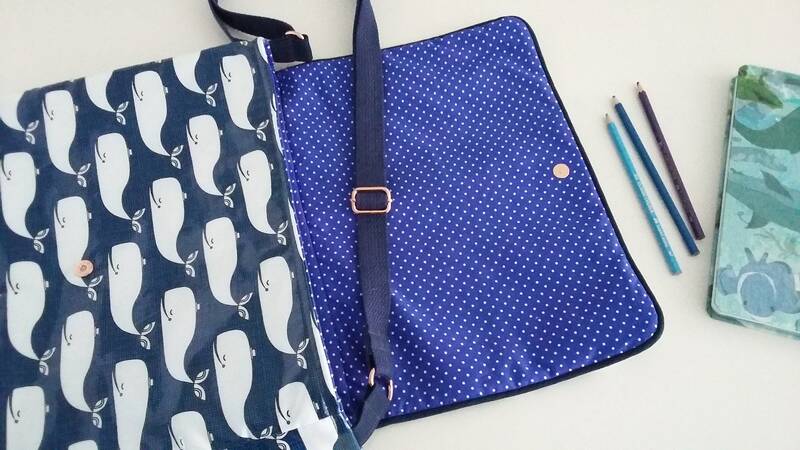 The Carina School Satchel is a great pattern for confident beginners in bag making, teaching you basic bag-making techniques, as well as sewing with laminated cotton and other wipe clean fabrics. 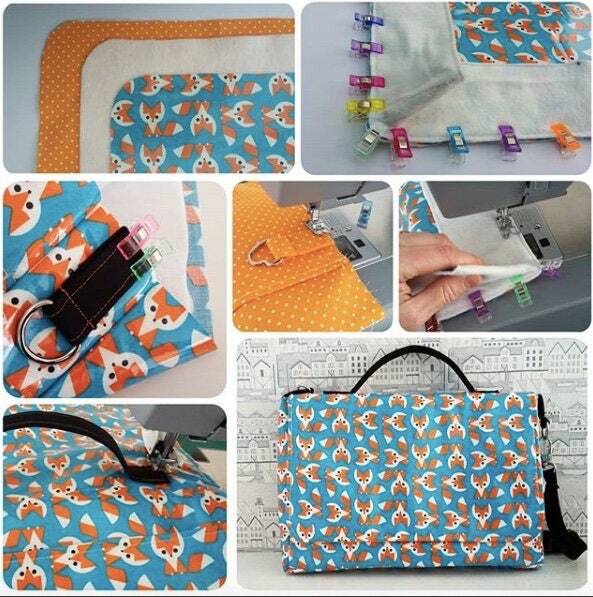 This is a detailed digital sewing pattern which contains step-by-step instructions along with 70 colour photos, perfect for the visual learner. There are no pattern pieces to print off as all the shapes are rectangular and measurements are provided. 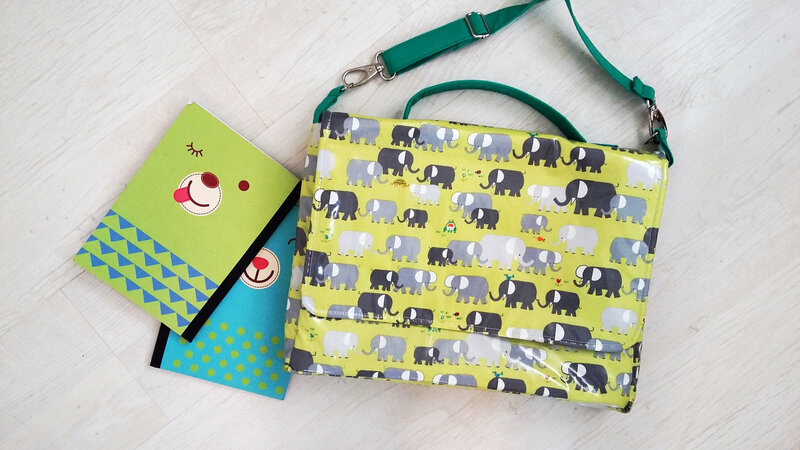 The bag features two inner pockets, a wide back slip pocket, a keyring loop, an adjustable and detachable shoulder strap, an optional short carry handle, two flap options with magnetic snap closure and piping for a professional finish. 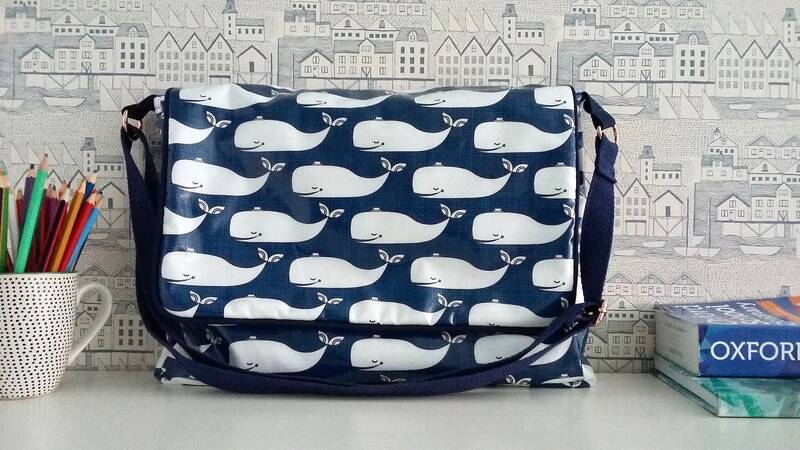 A versatile pattern, there is plenty of scope to add your own style to the bag, such as extra pockets inside and out, a different flap closure and type of strap. 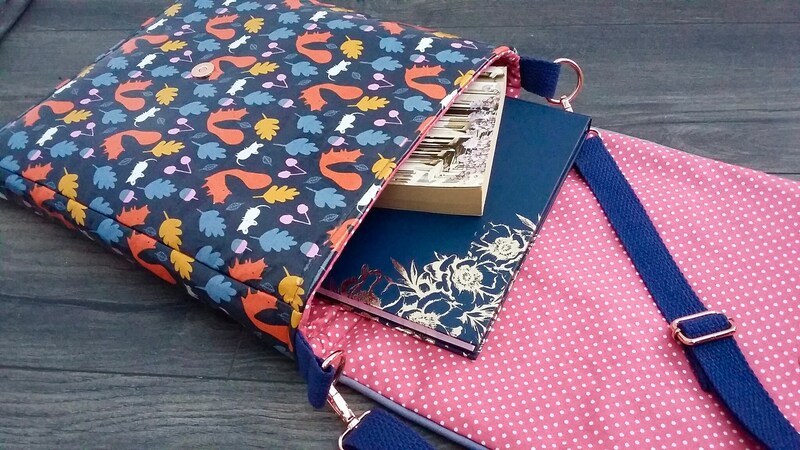 It is a generous sized bag and will fit A4 size books or folders making it perfect for school and college. Finished measurements: 14” wide, 10” tall, 2” deep (35cm x 25cm x 5cm). 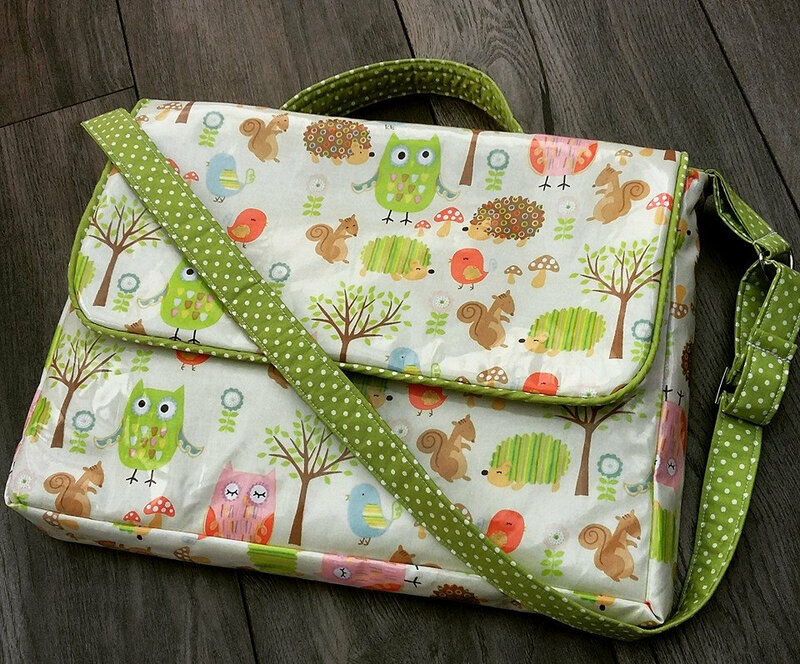 Once the pattern pieces have been cut out and prepared, the construction of this bag is straightforward, sewing mainly in straight lines. 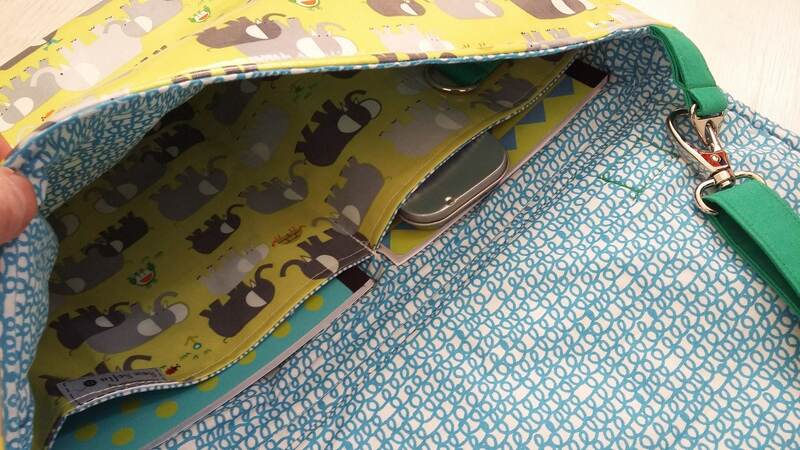 36” of 0.5” width premade piping, or make your own bias tape and use 3mm-4mm piping cord. You may sell items made from this pattern on your shop or website on a small scale. All items for sale must be handmade by you. Please credit SEW SOFIA in any written description. 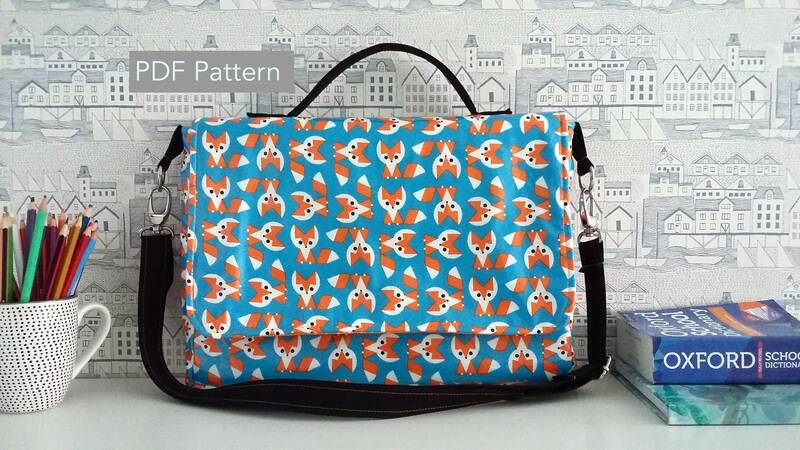 Please do not distribute, sell or duplicate this pattern in any way. 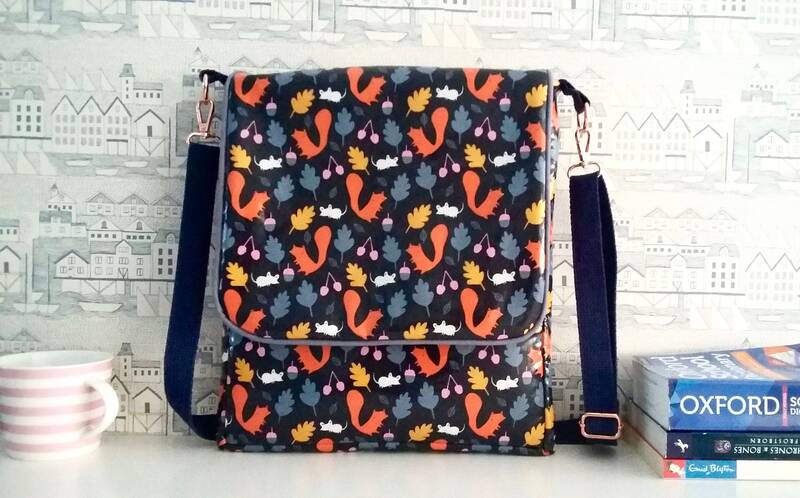 Nice bag to make - plus it is (accidentally) exactly the right size for my laptop.